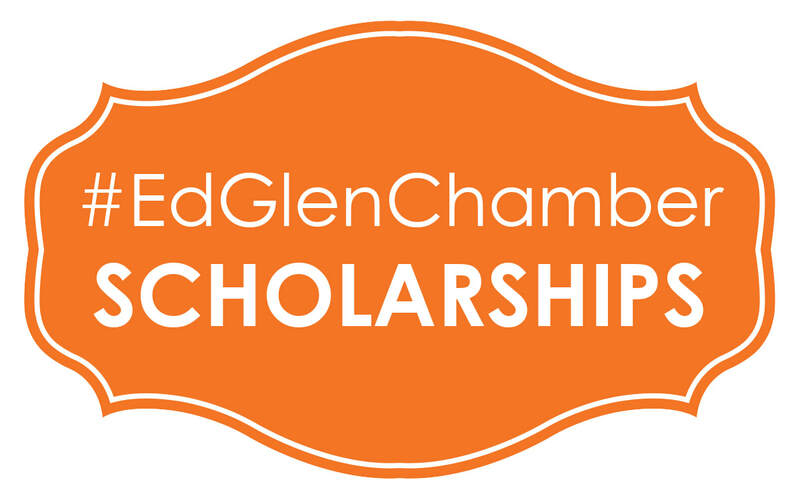 Please note that as a business organization, the Edwardsville/Glen Carbon Chamber of Commerce’s scholarship committee will award scholarships to students majoring or minoring in business, or in a field of study clearly related to business. Applications must be postmarked by Friday, April 26, 2019. Applications postmarked after the deadline will not be considered. This application is to be completed by all students who wish to be considered for an Edwardsville/Glen Carbon Chamber of Commerce scholarship. The scholarship committee will review all applications and make awards to students whose academic history and activities show the most promise. A $1,000 Scholarship will be awarded to a graduating senior from Edwardsville High School, Fr. McGivney Catholic High School, Metro East Lutheran High School, Lahr-Well Academy, or a home-school student living in Edwardsville Community School District 7, planning to major or minor in business or a business-related field. A $1,000 Scholarship will be awarded to a student currently attending either Southern Illinois University Edwardsville (SIUE) or Lewis and Clark Community College, majoring or minoring in business or a business-related field. A $1,500 Scholarship will be awarded to a student entering his or her junior or senior year study in the SIUE School of Business. Applications must be postmarked by Friday, April 26, 2019. Applications postmarked after the deadline will not be considered. Incomplete applications, including those submitted without the two required letters of recommendation, will be disqualified; applications postmarked after Friday, April 26, 2019 will not be considered.